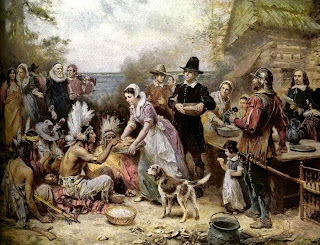 Although Thanksgiving gives us the opportunity to be gluttonous, its true meaning is simple: to give thanks for what life has given us and the fortunes bestowed upon us. It is a uniquely American holiday, where in 1621, the Plymouth colonists shared an autumn harvest feast with the Wampanoag Indians that is acknowledged today as the first Thanksgiving celebration. For more than 200 years, days of thanksgiving were celebrated by individual colonies and states, but in 1863 -- in the heart of the Civil War -- President Abraham Lincoln proclaimed a national Thanksgiving Day to be held each November. All of us at Rollins Financial hope your Thanksgiving is filled with happy moments, simple pleasures, and grateful hearts. We are very thankful for you. Please note that our office will be closed on Thursday, November 22nd and Friday, November 23rd. Our regular office hours will resume on Monday, November 26th.